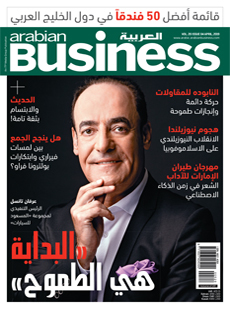 Arabian Business is the weekly Middle East business magazine that covers the most up-to-date regional and international news in the business world. It offers readers in-depth analysis on the latest happenings and focuses on interviewing the region's business leaders whilst offering the latest financial and business statistics, capital markets growth and stock reports. Arabian Business is published in both English & Arabic, offering coverage of the region's entire business community.